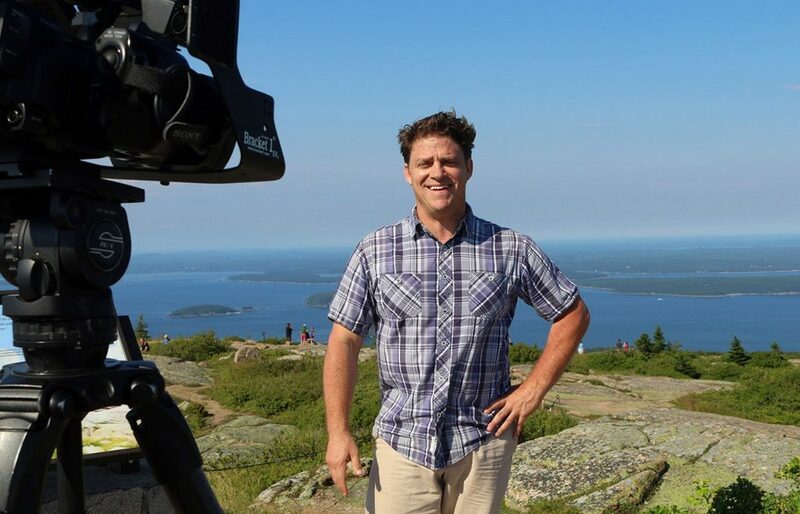 The WCSH meteorologist, who apparently took his life, developed a loyal following among viewers who liked his upbeat personality and social media posts. Television meteorologist Tom Johnston was widely remembered for his energetic on-air presence Friday, a day after police recovered his body after an apparent suicide. Johnston, who appeared on WCSH, had been reported missing Monday after failing to return from an appearance at the Springfest event at Sunday River Ski Resort in Newry on Saturday. Often referred to by his nickname, TJ Thunder, Johnston had developed a loyal following among viewers who liked his sense of humor, upbeat personality and social media posts. More than 1,100 people left comments on the TV station’s Facebook post about Johnston’s death, describing their shock at the news and their fondness for the meteorologist. Cliffe said Johnston’s colleagues were too upset Friday to be interviewed about him. During news broadcasts and on social media, current and former News Center employees talked and wrote about working with Johnston and shared stories of his memorable antics. 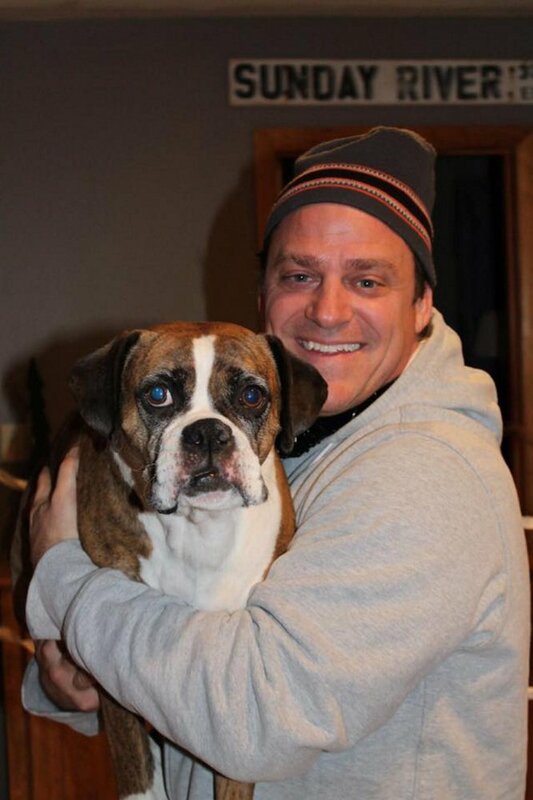 Johnston, 46, failed to return to his home in Old Orchard Beach after his visit to the ski resort Saturday, police said. He was in Newry to emcee the Springfest event and also sent back video of a snowstorm for the station’s 6 p.m. newscast. His girlfriend reported him missing to Old Orchard Beach police Monday. Detective Sgt. David Hemingway of the Old Orchard Beach police said an individual or individuals on foot notified Auburn police Thursday night after coming across an unoccupied vehicle in a remote area near Lewiston Junction Road and Cascade Drive. The car turned out to be Johnston’s 2017 Subaru Forester, and Auburn police officers and game wardens found Johnston’s body in a wooded area nearby, Hemingway said. “He walked on foot into the wooded area and he was alone,” Hemingway said. Police have ruled out anything criminal and said the investigation is focused on an apparent suicide. Auburn Police Chief Phillip Crowell said Friday that his department will not release any other details about the circumstances of Johnston’s death until an autopsy is completed by the Medical Examiner’s Office. Johnston’s family members and his girlfriend, whom police did not identify, could not be reached for comment Friday. Johnston was a father and posted photos on Facebook of a baby son born in January. “He’s a Mainer,” Johnston wrote. The post got 681 comments of congratulations from fans. He also posted photos of his dog, Emma Thunder, and photos taken while snowboarding at Sunday River. But he rarely posted personal information, usually having fun with the latest forecast, posting viewers’ photos or bantering with his followers. He had a confident and colorful personality on TV and sometimes dressed up his suit jackets with bold-colored pocket squares, or handkerchiefs. During emotional on-air updates Friday, Johnston’s colleagues at WCSH described the joy he brought to the newsroom and showed clips of him goofing around for the camera, both in the weather studio and in videos while he was snowboarding. Anchor Katie Bavoso, who fought back tears during the Friday morning broadcast, posted on Facebook about the positive impact Johnston had on her both personally and as a broadcaster. Former WCSH anchor and reporter Jackie Ward posted a photo of herself with Johnston and wrote about their friendship. They often appeared on-air together before she left the station to move to California. Johnston’s love of weather can be traced to his childhood, when he was fascinated by the temperature contrasts he noticed during a hail storm, according to a biography posted on the WCSH website. He earned his undergraduate degree from Rutgers University in 1993, then went on to receive a Master of Science degree in meteorology from Mississippi State University in 1995. Before moving to Maine in 2014, Johnston worked as a meteorologist at several stations in Florida, where he covered hurricanes during the busiest season on record and received national exposure for his coverage of Hurricane Ivan. He was chief meteorologist in the Fort Myers-Naples market starting in 2006 and received Best Weathercast awards in 2007 and 2008 from the Florida Associated Press, according to a profile posted on the station’s website. Former colleagues and viewers in Jacksonville, Florida, also posted memories on Facebook on Friday. “TJ Thunder loved good ol’ school music, food, his children, & pocket squares:) & He loved his work. Rest in Peace TJ. You’ll be missed,” wrote Dawn Lopez, an anchor on Action News Jacksonville. Animal Refuge League of Greater Portland shared an album of photos of Johnston, including one showing him on the floor of the News Center set as a dog in a football jersey licked his face. Staff Writer Dennis Hoey contributed to this report.